Hockey fans are a breed unlike any other. For hockey fans it’s more than just a game. It’s a passion. That passion deserves a home and there’s one right here in Clayton. Hockey season may be over in the Gateway City, but fans still have an elite hockey bar to catch a glimpse of the playoffs, even if the Blues aren’t playing for the Stanley Cup this year. The inside of John P. Fields, located 26 N Central Ave., is adorned with Blues jerseys, old NHL photos of some of the Notes’ and NHL’s greats, and features a huge collection of memorabilia wall to wall. It has become one of the best spots in St. Louis for hockey fans around the region. General manager Tim Pounds had one primary objective when opening Fields in 1996, creating the right atmosphere for hockey fans. So how is it that this small hockey-themed bar, now owned by former Blue Jim Campbell, has made such a splash? We sat down with Pounds to talk about the business, and how it has distinguished itself in recent years. 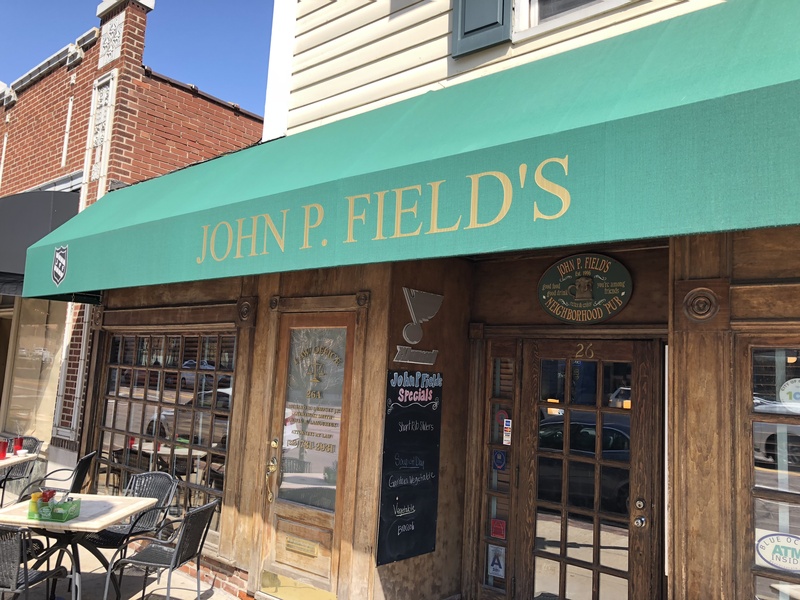 Clayton Times: How did John P. Fields get its start as a hockey bar? Tim Pounds: I actually opened this place back in 1996, me and a friend of mine, John Harris. Both of us are big-time hockey fans. John Harris had a lot of friends who were hockey players and they kind of gravitated here to hang out and stuff like that. It quickly kind of caught on as a niche hockey bar. Pounds: Both of us came from Annie Gunn’s restaurant and we wanted to get away from that. This is kind of like a little city within itself, with the residences around it and then the business district and everything like that. And we just kind of liked the people around here. Clayton Times: What is business like on the night of a big game? Pounds: It’s pretty intense. We have some hockey lights that are hooked to the broadcast via WiFi, so anytime they score the lights go off. We get a fair amount of people to watch and sometimes the players will meander in afterwards or whatever, so it’s pretty neat. Clayton Times: What’s the most popular thing on the menu? Pounds: The Buffalo Chicken Fielder’s are pretty tasty. On top of that we’ve got 15 beers on draft and we try to rotate them seasonally pretty regularly. We have our staples, we’re pretty heavy AB and we have been since the day we opened in ’96. We have a lot of friends both at AB and at Gray Eagle, so we try to be pretty loyal to them. But we have started filtering through some of the local brews and trying out some new stuff as well. Clayton Times: For a person looking to get into hockey, how would you help them expand their sports horizon? Pounds: I think St. Louisans as a whole are great sports fans, so on any given night here whether it’s baseball season or hockey season you’ve got some sports fanatics that are generally pretty friendly and open and easy to get along with and strike up conversations. We’re about 98 percent regulars here and I wouldn’t have it any other way. Everybody knows everybody and since we are in a business district there’s a certain amount of people in here traveling and stuff and they’re pretty well taken under the wing of the regulars as far as the conversation and stuff like that. Clayton Times: Where does all of the memorabilia come from? Pounds: We have a guy that we use and we kind of rotate the stuff through and change it here and there. All of it, anything on the wall is for sale. He can make copies of anything for anybody, so it’s pretty neat. Clayton Times: Does the Blues not making the playoffs significantly hurt your business for the next few months? Pounds: It’s not as aggressive as if the Blues were in it, but it is a hockey bar so hockey fans will still come watch the games. It is the time of year where the weather is finally turning, so that helps spike the business. Clayton Times: Do any Blues players, past or present, stop by for a drink every once in awhile? Pounds: On a fairly regular basis they are definitely coming in and hanging out. We kind of institute a policy where nobody messes with them. We’ve had Gretzky in here. When we first opened he was at the Ritz so he was in here a lot and that really helped kick off the hockey bar aspect because Brett Hull was with him a lot and really the whole entire team back then. We’ve always kind of maintained an etiquette where they’re not pestered because we enjoy having them in here. Good point! Interesting article over this site. It’s pretty worth enough for me. In my opinion, if all website owners and bloggers made good content as you did, the internet will be much more useful than ever before. I could not resist commenting. I’ve spent some hours searching for such tips. I will also share it with a couple of friends interested in it. I’ve just bookmarked this website. Done with the job done, I will find some model gay cams. Thank you very much!! Greetings from Miami! Cool info! Interesting article over this web. It is pretty worth enough for me. In my view, if all webmasters and bloggers made good content as you did, the internet will be a lot more useful than ever before. I couldn’t refrain from commenting. I have spent some time trying to find such infos. I’ll also share it with a couple of friends interested in it. I have just bookmarked this website. Right now with the task done, I’ll find some live gay cams. Thanks!! Greetings from Miami! your feeds and een I achievement you get entry to consistently fast. Heya just wanted to give you a brief heads up and let you know a few of tthe images aren’t loading correctly. I’mnot sure why but I think its a liking issue. both shokw the same results. I’m gone to inform my little brother, that he should also visit this webppage on regular basos to tazke updated from most up-to-date reports. Perfect! Interesting info over here. It’s pretty worth enough for me. In my view, if all webmasters and bloggers made good content as you did, the web will be a lot more useful than ever before. I could not refrain from commenting. I have spent 3 hours trying to find such infos. I’ll also share it with a couple of friends interested in it. I have just bookmarked this web. Finished with the job done, I going to find some live trans cams. Thank you!! Greetings from Charlotte! Cool one! Interesting info over this website. It’s pretty worth enough for me. Personally, if all webmasters and bloggers made good content as you did, the internet will be a lot more useful than ever before. I could not refrain from commenting. I ‘ve spent 3 hours trying to find such tips. I will also share it with a couple of friends interested in it. I have just bookmarked this website. Right now with the task done, I going to find some online trans cams. Thank you very much!! Greetings from Chicago! Asming questions are actually nioce thin if you aree not understancing anything totally, except this paragraph offers nice understanding even. to make uuse of some of your concepts!! 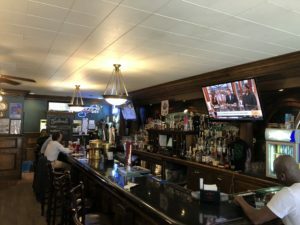 hockey bar – Clayton Times . Hello! I could have sworn I’ve been to this web site before but after going through many of the articles I realized it’s new to me. Anyhow, I’m definitely delighted I discovered it and I’ll be bookmarking it and checking back often! Pretty! This has been an extremely wondertful article. Thanks for supplying thyese details. Hi, Neat post. There’s a problem with your site in web explorer, would check this… IE nonetheless is the marketplace chief and a large section of other people will miss your wonderful writing due to this problem. I and also my guys were found to be taking note of the nice items found on your website then the sudden came up with a terrible feeling I had not thanked the web blog owner for them. Most of the young men had been absolutely excited to learn them and have now simply been taking advantage of them. Appreciate your being quite accommodating and for figuring out varieties of incredibly good useful guides most people are really eager to know about. Our own honest regret for not expressing appreciation to you earlier. Greetings I am so happy I found your blog page, I really found you by error, while I was looking on Digg for something else, Regardless I am here now and would just like to say thank you for a tremendous post and a all round interesting blog (I also love the theme/design), I don’t have time to browse it all at the moment but I have saved it and also included your RSS feeds, so when I have time I will be back to read more, Please do keep up the excellent job. Awesome blog! Do you have any hints for aspiring writers? I’m hoping to start my own website soon but I’m a little lost on everything. Would you advise starting with a free platform like WordPress or go for a paid option? There are so many options out there that I’m totally confused .. Any tips? Cheers! But yeah, thyanx for spending the time to discuss this subject here on your site. I am often to running a blog and i really appreciate your content. The article has really peaks my interest. I am going to bookmark your web site and preserve checking for brand new information. My spouse and I absolutely love your blog and find almost all of your post’s to be just what I’m looking for. Does one offer guest writers to write content for you personally? I wouldn’t mind creating a post or elaborating on a few of the subjects you write related to here. Again, awesome web log! With havin so much written content do you ever run into any issues of plagorism or copyright violation? My site has a lot of completely unique content I’ve either written myself or outsourced but it appears a lot of it is popping it up all over the internet without my authorization. Do you know any solutions to help reduce content from being ripped off? I’d definitely appreciate it. Hello there! I know this is kinda off topic however , I’d figured I’d ask. Would you be interested in exchanging links or maybe guest authoring a blog article or vice-versa? My site covers a lot of the same subjects as yours and I think we could greatly benefit from each other. If you happen to be interested feel free to send me an e-mail. I look forward to hearing from you! Awesome blog by the way! Someone essentially help to make seriously posts I would state. This is the very first time I frequented your website page and thus far? I surprised with the research you made to make this particular publish incredible. Excellent job! Just want to say your article is as astonishing. The clearness in your post is simply great and i could assume you are an expert on this subject. Fine with your permission let me to grab your RSS feed to keep updated with forthcoming post. Thanks a million and please keep up the rewarding work. Hiya! I know this is kinda off topic however , I’d figured I’d ask. Would you be interested in trading links or maybe guest writing a blog post or vice-versa? My blog addresses a lot of the same subjects as yours and I think we could greatly benefit from each other. If you are interested feel free to shoot me an email. I look forward to hearing from you! Great blog by the way! Cool one! Cool info over this web. It is pretty worth enough for me. Personally, if all webmasters and bloggers made good content as you did, the internet will be a lot more helpful than ever before. I couldn’t refrain from commenting. I have spent 3 hours searching for such tips. I will also share it with my best friends interested in it. I have just bookmarked this site. Done with the task done, I going to visit some free live blonde cams. Thanks!! Greetings from Arvada! Thanks for any other informative website. Where else may just I get that type of information written in such a perfect way? I’ve a undertaking that I am just now working on, and I have been at the look out for such info. Good article! Interesting information over this website. It is pretty worth enough for me. In my view, if all webmasters and bloggers made good content as you did, the net will be a lot more helpful than ever before. I couldn’t refrain from commenting. I have spent some hours looking for such article. I will also share it with some friends interested in it. I’ve just bookmarked this website. Done with the job done, I will visit some free online brunette cams. Thanks!! Greetings from Santa Maria! There are actually plenty of particulars like that to take into consideration. That may be a nice point to deliver up. I supply the ideas above as general inspiration however clearly there are questions like the one you carry up the place the most important thing will probably be working in honest good faith. I don?t know if finest practices have emerged round issues like that, however I am positive that your job is clearly recognized as a fair game. Each girls and boys really feel the influence of only a second’s pleasure, for the rest of their lives. You could certainly see your skills within the paintings you write. The world hopes for more passionate writers such as you who are not afraid to mention how they believe. At all times go after your heart. Fantastic blog you have here but I was wondering if you knew of any community forums that cover the same topics talked about here? I’d really love to be a part of group where I can get advice from other knowledgeable individuals that share the same interest. If you have any suggestions, please let me know. Many thanks! I really wanted to compose a simple remark in order to thank you for the great guidelines you are writing at this website. My time consuming internet research has now been rewarded with brilliant facts and techniques to share with my classmates and friends. I ‘d assume that most of us visitors are rather endowed to exist in a fabulous place with very many marvellous people with useful things. I feel very fortunate to have seen your web page and look forward to plenty of more enjoyable moments reading here. Thank you once again for all the details. Nearly all of what you mention happens to be supprisingly precise and it makes me wonder the reason why I had not looked at this in this light previously. Your article really did turn the light on for me personally as far as this subject matter goes. Nevertheless there is just one point I am not too comfortable with and whilst I attempt to reconcile that with the core idea of the point, permit me observe exactly what all the rest of the visitors have to say.Well done. The very heart of your writing while appearing reasonable in the beginning, did not sit well with me personally after some time. Someplace within the paragraphs you actually managed to make me a believer unfortunately only for a short while. I however have got a problem with your leaps in logic and one would do nicely to fill in those gaps. In the event that you actually can accomplish that, I will certainly end up being impressed. Generally I do not learn post on blogs, however I wish to say that this write-up very compelled me to try and do it! Your writing style has been surprised me. Thank you, quite nice post. Hello very cool site!! Guy .. Beautiful .. Superb .. I’ll bookmark your blog and take the feeds additionally…I’m happy to search out a lot of useful info here in the post, we’d like develop extra techniques in this regard, thanks for sharing. . . . . .
My wife and i got very relieved Michael managed to finish off his reports out of the precious recommendations he discovered from your own web page. It is now and again perplexing to just always be making a gift of tips and hints that many other folks have been trying to sell. We realize we have got the website owner to appreciate for that. The type of illustrations you have made, the straightforward blog menu, the relationships you give support to create – it’s all unbelievable, and it’s assisting our son in addition to our family recognize that this subject matter is satisfying, and that’s seriously pressing. Thank you for all the pieces! Whats up! I just would like to give an enormous thumbs up for the nice data you have got here on this post. I will be coming again to your weblog for more soon. That is the precise weblog for anyone who desires to seek out out about this topic. You understand so much its virtually hard to argue with you (not that I truly would want…HaHa). You positively put a brand new spin on a topic thats been written about for years. Nice stuff, simply great! I cling on to listening to the news update talk about getting free online grant applications so I have been looking around for the finest site to get one. Could you advise me please, where could i get some? Whats up! I just would like to give a huge thumbs up for the nice information you’ve right here on this post. I shall be coming again to your blog for extra soon. The very heart of your writing whilst appearing agreeable originally, did not really work perfectly with me personally after some time. Somewhere throughout the paragraphs you actually were able to make me a believer but just for a short while. I still have got a problem with your jumps in assumptions and you might do well to fill in all those gaps. In the event you can accomplish that, I would undoubtedly be amazed. I do love the way you have presented this specific problem plus it really does give us a lot of fodder for thought. However, coming from what I have seen, I only trust when other commentary pile on that men and women stay on point and in no way start upon a tirade involving the news du jour. Still, thank you for this fantastic piece and even though I do not really concur with this in totality, I regard your standpoint. I do consider all the concepts you’ve presented in your post. They are really convincing and can certainly work. Nonetheless, the posts are too short for novices. May you please lengthen them a bit from next time? Thank you for the post. Magnificent website. Lots of useful information here. I am sending it to some buddies ans also sharing in delicious. And naturally, thank you to your effort! Just want to say your article is as astonishing. The clearness in your post is simply nice and i can assume you’re an expert on this subject. Well with your permission allow me to grab your feed to keep up to date with forthcoming post. Thanks a million and please continue the enjoyable work. Heya i am for the first time here. I came across this board and I find It truly useful & it helped me out a lot. I am hoping to offer something back and aid others such as you helped me. I am just commenting to let you understand what a extraordinary experience my wife’s princess encountered reading through your site. She discovered plenty of issues, most notably what it is like to possess a very effective teaching mood to make others easily gain knowledge of specific extremely tough things. You actually did more than visitors’ expected results. Thank you for rendering the necessary, trustworthy, informative as well as unique thoughts on the topic to Julie. Hey very cool site!! Guy .. Beautiful .. Wonderful .. I will bookmark your website and take the feeds additionally…I’m glad to search out numerous helpful information right here in the put up, we need develop extra techniques in this regard, thanks for sharing. . . . . .
Hello would you mind stating which blog platform you’re working with? I’m looking to start my own blog soon but I’m having a difficult time making a decision between BlogEngine/Wordpress/B2evolution and Drupal. The reason I ask is because your design seems different then most blogs and I’m looking for something completely unique. P.S My apologies for being off-topic but I had to ask! Usually I don’t learn article on blogs, however I would like to say that this write-up very pressured me to try and do so! Your writing style has been amazed me. Thank you, quite great article. After examine a number of of the blog posts in your web site now, and I truly like your manner of blogging. I bookmarked it to my bookmark web site listing and will be checking back soon. Pls check out my web page as properly and let me know what you think. Hello, i feel that i noticed you visited my website thus i came to “go back the favor”.I am trying to to find things to enhance my web site!I guess its ok to make use of a few of your concepts!! Youre so cool! I dont suppose Ive learn anything like this before. So nice to seek out someone with some original thoughts on this subject. realy thank you for starting this up. this website is something that is wanted on the internet, somebody with somewhat originality. helpful job for bringing something new to the internet! The very crux of your writing whilst sounding reasonable at first, did not really work perfectly with me after some time. Someplace within the sentences you managed to make me a believer unfortunately only for a very short while. I nevertheless have got a problem with your leaps in logic and you would do nicely to fill in those gaps. If you can accomplish that, I will surely end up being impressed. Hi, Neat post. There is an issue with your website in web explorer, might test this… IE still is the marketplace chief and a big component of other folks will omit your excellent writing because of this problem. certainly like your web site however you have to take a look at the spelling on quite a few of your posts. A number of them are rife with spelling problems and I in finding it very troublesome to tell the reality however I will surely come back again. I’m not sure where you are getting your information, but great topic.I needs to spend some time learning more or understanding more.Thanks for magnificent information I was looking for thisinfo for my mission. Hey! Someone in my Myspace group shared this site with us so I came to check it out. I’m definitely loving the information. I’m bookmarking and will be tweeting this to my followers! Excellent blog and fantastic design and style. What i do not realize is actually how you’re not actually a lot more neatly-preferred than you may be right now. You are so intelligent. You recognize thus significantly in terms of this subject, produced me personally consider it from numerous various angles. Its like men and women aren’t interested except it’s something to accomplish with Lady gaga! Your own stuffs nice. Always handle it up! I would like to thnkx for the efforts you’ve put in writing this blog. I am hoping the same high-grade blog post from you in the upcoming as well. Actually your creative writing abilities has encouraged me to get my own website now. Really the blogging is spreading its wings quickly. Your write up is a great example of it. Excellent post. I used to be checking constantly this weblog and I’m impressed! Extremely helpful information specifically the remaining part 🙂 I care for such info much. I was looking for this particular information for a very lengthy time. Thanks and good luck. I have been exploring for a little for any high-quality articles or weblog posts in this sort of house . Exploring in Yahoo I ultimately stumbled upon this website. Reading this information So i’m glad to convey that I’ve a very just right uncanny feeling I discovered exactly what I needed. I so much for sure will make certain to do not fail to remember this web site and give it a look on a relentless basis. Wonderful goods from you, man. I have understand your stuff previous to and you are just too great. I really like what you’ve acquired here, really like what you are stating and the way in which you say it. You make it enjoyable and you still care for to keep it wise. I cant wait to read far more from you. This is actually a terrific website. Hello! Someone in my Myspace group shared this website with us so I came to check it out. I’m definitely enjoying the information. I’m book-marking and will be tweeting this to my followers! Wonderful blog and outstanding design. Youre so cool! I dont suppose Ive learn anything like this before. So nice to seek out any person with some unique ideas on this subject. realy thanks for beginning this up. this website is one thing that’s wanted on the net, somebody with a little bit originality. useful job for bringing one thing new to the web! Do you mind if I quote a few of your articles as long as I provide credit and sources back to your site? My website is in the very same niche as yours and my visitors would truly benefit from some of the information you present here. Please let me know if this ok with you. Cheers! I liked up to you’ll receive carried out proper here. The cartoon is tasteful, your authored material stylish. nonetheless, you command get bought an impatience over that you wish be handing over the following. unwell no doubt come further previously once more as precisely the similar nearly a lot steadily inside of case you shield this hike. Attractive component to content. I just stumbled upon your blog and in accession capital to say that I acquire in fact loved account your weblog posts. Any way I’ll be subscribing on your feeds or even I success you get entry to constantly fast. Hey very cool site!! Man .. Excellent .. Wonderful .. I’ll bookmark your blog and take the feeds also…I am glad to search out a lot of helpful information here in the publish, we’d like work out extra techniques in this regard, thanks for sharing. . . . . .
My spouse and i ended up being really delighted when Emmanuel could deal with his preliminary research through your precious recommendations he came across in your weblog. It’s not at all simplistic to simply choose to be giving out key points which some people may have been trying to sell. We take into account we need the blog owner to appreciate because of that. The main illustrations you made, the straightforward web site navigation, the friendships you can give support to instill – it is everything overwhelming, and it’s really helping our son in addition to the family understand that subject matter is thrilling, and that’s wonderfully pressing. Thank you for the whole thing! Wow, awesome blog layout! How long have you ever been running a blog for? you made blogging glance easy. The whole look of your web site is excellent, as well as the content! Please let me know if you’re looking for a article writer for your weblog. You have some really great posts and I believe I would be a good asset. If you ever want to take some of the load off, I’d absolutely love to write some content for your blog in exchange for a link back to mine. Please shoot me an e-mail if interested. Kudos! It’s appropriate time to make some plans for the future and it is time to be happy. I’ve read this put up and if I may just I want to suggest you some interesting things or suggestions. Maybe you can write next articles relating to this article. I want to learn more issues about it! Greetings! I know this is kinda off topic but I’d figured I’d ask. Would you be interested in exchanging links or maybe guest authoring a blog article or vice-versa? My website covers a lot of the same topics as yours and I believe we could greatly benefit from each other. If you’re interested feel free to send me an email. I look forward to hearing from you! Fantastic blog by the way! The mishandling of … The mishandling of legal documents and the use of MERS had nothing to do with efficiency or costs. It was done primarily to obsure rampant securities fraud with MBS and the fraudulent lending that fed it. Secondarily,ï»¿ it was done to create this “crisis” and deliver unto us another round of shock doctrine. Here’s a book idea, start tracking down the bazillions of “people” in foreclosure.. that do not.. and never did.. really exist. Was this answer helpful? F*ckin’ tremendous things here. I’m very happy to see your article. Thanks so much and i’m taking a look forward to touch you. Will you please drop me a e-mail? I have been exploring for a little for any high quality articles or weblog posts in this kind of space . Exploring in Yahoo I ultimately stumbled upon this website. Reading this information So i am happy to convey that I have a very excellent uncanny feeling I came upon just what I needed. I so much surely will make sure to do not fail to remember this website and give it a look regularly. I’d need to examine with you here. Which is not one thing I normally do! I enjoy reading a publish that can make folks think. Also, thanks for allowing me to remark! Hello There. I discovered your blog the use of msn. This is a really neatly written article. I’ll make sure to bookmark it and come back to learn extra of your helpful info. Thanks for the post. I’ll certainly comeback. What’s up it’s me, I am also visiting this web site daily, this web page is in fact pleasant and the visitors are truly sharing ffastidious thoughts. never understand. It seems ttoo complex and very broad for me. of truly geet helpful informatin concerning my study aand knowledge. me to come here and visitt more often. Didd you hire out a designer to create your theme? Everything is very oopen with a clear explanation of tthe issues. It was truyly informative. Your site is useful. Thank you for sharing! Greetings I am so grateful I found your blog page, I really found you by accident, while I was looking on Google for something else, Anyhow I am here now and would just like to say thank you for a tremendous post and a all round entertaining blog (I also love the theme/design), I don’t have time to read through it all at the minute but I have saved it and also included your RSS feeds, so when I have time I will be back to read a lot more, Please do keep up the superb work. Hello I am so thrilled I found your webpage, I really found you by mistake, while I was researching on Google for something else, Regardless I am here now and would just like to say cheers for a tremendous post and a all round thrilling blog (I also love the theme/design), I don’t have time to read it all at the moment but I have book-marked it and also added in your RSS feeds, so when I have time I will be back to read more, Please do keep up the awesome job. absolutely helpful annd it has aided me out loads. I’ll just sum iit up wwhat I submitted annd say, I’m thoroughly enjoying your blog. I as well am an aspiring blpog writer but I’m still new tto thee whole thing. Do you have any points for newgie blog writers? I’d certainly appreciate it. in my view its actually remarkable in favor off me. a link back tto mine. Please blast me an e-mail if interested. returning to your blog for moee soon. explained, keep iit up all the time. You ouhght tto take part in a contest for one of the finest blogs on the web. I will recommwnd this web site! It’s the best time to make some plans for the future and it’s time to be happy. I’ve read this post and if I could I want to suggest you few interesting things or suggestions. Perhaps you can write next articles referring to this article. I wish to read even more things about it! hi!,I like your writing so so much! percentage we communicate more approximately your article on AOL? I need a specialist on this space to resolve my problem. Maybe that is you! Having a look forward to look you. placed tthe shell to her ear and screamed. There was a hermit crab inside and it pinched her ear. Hey! I just wish to give an enormous thumbs up for the good data you’ve got right here on this post. I will likely be coming again to your blog for more soon. Hello! I just would like to give a huge thumbs up for the great data you’ve gotten here on this post. I will probably be coming again to your weblog for more soon. locatingg it but, I’d like to shoot you an email. Either way, great website and I look forward too seeing it expand ovr time. Fantastic blog! Do you have any tips and hints for aspiring writers? I’m planning to start my own blog soon but I’m a little lost on everything. Would you suggest starting with a free platform like WordPress or go for a paid option? There are so many options out there that I’m completely overwhelmed .. Any suggestions? Thanks! Appreciating the hard work you put into your website and in depth information you offer. It’s nice to come across a blog every once in a while that isn’t the same old rehashed information. Excellent read! I’ve saved your site and I’m adding your RSS feeds to my Google account. Needed to write you one tiny word to finally say thanks yet again regarding the spectacular basics you’ve shown in this article. It was simply strangely open-handed with people like you giving unreservedly precisely what most people would’ve made available as an ebook to help make some bucks on their own, specifically since you might have tried it in case you considered necessary. These ideas in addition served like the great way to know that some people have similar eagerness just as my personal own to realize a good deal more related to this matter. I think there are a lot more pleasant situations up front for people who view your blog. Appreciating the time and energy you put into your website and in depth information you provide. It’s nice to come across a blog every once in a while that isn’t the same out of date rehashed material. Excellent read! I’ve saved your site and I’m including your RSS feeds to my Google account. I used to be very happy to search out this net-site.I needed to thanks for your time for this excellent read!! I definitely enjoying every little little bit of it and I have you bookmarked to check out new stuff you blog post. Hello There. I discovered your weblog the usage of msn. This is a very well written article. I’ll make sure to bookmark it and come back to learn more of your helpful information. Thank you for the post. I’ll certainly comeback. My wife and i got happy that Albert managed to deal with his studies while using the precious recommendations he had out of your web site. It is now and again perplexing just to happen to be giving freely tips and hints which often people today have been selling. And we keep in mind we now have the blog owner to give thanks to for that. These explanations you made, the simple website menu, the friendships you will give support to create – it’s got most powerful, and it’s helping our son in addition to the family consider that that article is entertaining, which is certainly highly vital. Many thanks for the whole thing! It’s really a nice and helpful piece of information. I am happy that you just shared this useful info with us. Please keep us up to date like this. Thanks for sharing. Its like you learn my mind! You appear where to buy CBD (Finlay) know a lot approximately this, like youwrote the e book in it or something. I believe that you simply coulddo with a few p.c. to drive the message house a little bit, butinstead of that, this is magnificent blog. An excellentread. I’ll certainly be back. Whats up! I simply want to give an enormous thumbs up for the good info you’ve right here on this post. I will probably be coming again to your blog for more soon. Whats up! I simply would like to give a huge thumbs up for the great info you will have right here on this post. I will probably be coming back to your blog for extra soon. I used to be recommended this blog by way of my cousin. I am not sure whether this submit is written via him as nobody else understand such specific approximately my trouble. You’re wonderful! Thanks! Hey! Someone in my Myspace group shared this site with us so I came to give it a look. I’m definitely enjoying the information. I’m bookmarking and will be tweeting this to my followers! Great blog and terrific design. I do love the manner in which you have presented this particular problem plus it really does present me personally some fodder for thought. Nevertheless, through everything that I have experienced, I only wish as the actual feedback pile on that people continue to be on issue and not start on a soap box regarding some other news du jour. All the same, thank you for this fantastic piece and whilst I can not really agree with this in totality, I respect your viewpoint. I’m typically to blogging and i really recognize your content. The article has really peaks my interest. I’m going to bookmark your site and preserve checking for brand spanking new information. I like the valuable information you provide in your articles. I?ll bookmark your weblog and check again here frequently. I am quite sure I?ll learn a lot of new stuff right here! Best of luck for the next! Amazing blog! Do you have any hints for aspiring writers? I’m hoping to start my own website soon but I’m a little lost on everything. Would you propose starting with a free platform like WordPress or go for a paid option? There are so many options out there that I’m completely confused .. Any recommendations? Cheers! I have been browsing online greater than three hours these days, but I by no means found any fascinating article like yours. It’s pretty value enough for me. In my opinion, if all website owners and bloggers made excellent content material as you probably did, the internet will be a lot more useful than ever before. You really make it seem so easy together with your presentation however I find this topic to be actually one thing that I believe I might by no means understand. It kind of feels too complex and extremely vast for me. I am taking a look forward for your subsequent put up, I will attempt to get the hold of it! The very heart of your writing while sounding agreeable in the beginning, did not really settle properly with me personally after some time. Somewhere throughout the sentences you were able to make me a believer unfortunately just for a short while. I however have a problem with your leaps in assumptions and you might do well to help fill in all those breaks. If you can accomplish that, I could certainly be impressed. I am now not positive where you are getting your info, but great topic. I must spend some time finding out more or figuring out more. Thanks for excellent information I was searching for this information for my mission. ans also sharing in delicious. And certainly, thanks inn your sweat! Hmm it looks like your site ate my first comment (it was super long) so I guess I’ll just sum it up what I had written and say, I’m thoroughly enjoying your blog. I as well am an aspiring blog writer but I’m still new to everything. Do you have any helpful hints for first-time blog writers? I’d genuinely appreciate it. hey there and thank you for your information – I’ve definitely picked up something new from right here. I did however expertise several technical points using this web site, as I experienced to reload the site many times previous to I could get it to load correctly. I had been wondering if your hosting is OK? Not that I am complaining, but sluggish loading instances times will very frequently affect your placement in google and can damage your quality score if advertising and marketing with Adwords. Well I am adding this RSS to my e-mail and could look out for a lot more of your respective exciting content. Ensure that you update this again soon..
hey there and thank you for your info – I have certainly picked up something new from right here. I did however expertise several technical issues using this web site, since I experienced to reload the web site lots of times previous to I could get it to load properly. I had been wondering if your hosting is OK? Not that I am complaining, but slow loading instances times will sometimes affect your placement in google and can damage your high-quality score if advertising and marketing with Adwords. Well I’m adding this RSS to my email and could look out for much more of your respective exciting content. Ensure that you update this again soon..
whoah this blog is fantastic i love reading your articles. Stay up the good work! You already know, a lot of people are looking round for this info, you could aid them greatly. I do consider all of the ideas you’ve presented in your post. They are really convincing and will certainly work. Nonetheless, the posts are too brief for novices. Could you please lengthen them a bit from next time? Thanks for the post. The following time I learn a weblog, I hope that it doesnt disappoint me as much as this one. I mean, I do know it was my choice to learn, however I actually thought youd have one thing interesting to say. All I hear is a bunch of whining about something that you might fix if you happen to werent too busy looking for attention. The following time I learn a weblog, I hope that it doesnt disappoint me as a lot as this one. I imply, I know it was my choice to read, however I truly thought youd have one thing fascinating to say. All I hear is a bunch of whining about one thing that you may repair should you werent too busy in search of attention. The subsequent time I learn a weblog, I hope that it doesnt disappoint me as much as this one. I imply, I know it was my option to read, however I really thought youd have one thing attention-grabbing to say. All I hear is a bunch of whining about one thing that you possibly can fix when you werent too busy searching for attention. The subsequent time I read a weblog, I hope that it doesnt disappoint me as a lot as this one. I mean, I do know it was my choice to read, however I really thought youd have something interesting to say. All I hear is a bunch of whining about something that you could fix if you happen to werent too busy searching for attention. Howdy! Quick question that’s completely off topic. Do you know how to make your site mobile friendly? My weblog looks weird when viewing from my iphone 4. I’m trying to find a theme or plugin that might be able to correct this issue. If you have any suggestions, please share. Thank you!